This author is the queen of the dark, issue-driven YA novel. In this one, Melinda Sordino, high school freshman, is having the worst year imaginable. She called 911 at an end-of-the-year summer party, and is now a pariah in school. She has no friends, can’t respond to the boy who might like her, is frightened a good bit of the time, and clearly depressed. Added to her misery are neglectful parents with a lousy marriage. Although the story started slow for me, I thought about the book when I wasn’t reading-always a good sign-and it came to a satisfying conclusion. I wouldn’t have handled the situation as Melinda did, but people are different so the story line is plausible. 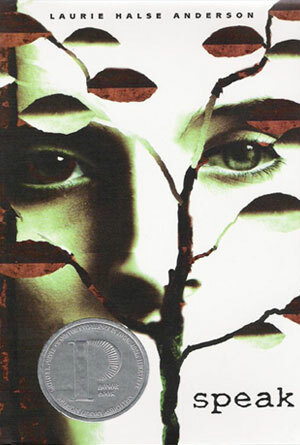 Anderson’s book The Impossible Knife of Memory, about a girl whose father has frightening PTSD, is equally good. I look forward to reading more of this author’s back list. Speak was made into a movie starring Kristen Stewart of Twilight fame. I still think about this book. It’s been over 10 years since I read it. However, I still have mixed feelings. I remember hearing other girls rave about it, but to me it always felt more like a PSA; maybe it had something to do with the main character acting differently than I would have, as well. Maybe it’s time for a reread. I’ve been eyeing this book for a while and I think I might have too add it to my reading list for March I’ve pretty much booked up February lol. I love books that sticky with you even if it wasn’t exactly a great experience . I haven’t read it yet myself, although my friend did. She thought it was okay, so I don’t exactly plan on reading it, despite the fact that it is really short lol. I would give it a go myself. Everyone’s taste in books isn’t the same. Get it at the library and then you haven’t wasted anything if you don’t like it. I happen to love this author so I’m biased, but I enjoyed this book and stand behind it even though I’m sure there are plenty of people with a differing opinion.